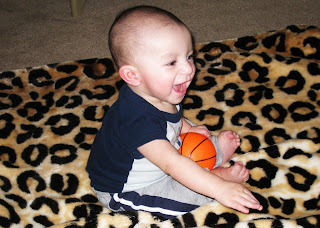 JD working on that future basketball scholarship, he's even wearing his Nike onesie! the mommy is done decorating! Julie & Julia on DVD today!